Can I partner with friends and family in my LLC? Yes, but partnerships with disqualified persons are only allowed at the time your IRA LLC is created. It can be a great way to raise additional capital for the purchases you want to make. The percentage of ownership in an LLC is determined by the capital contribution. If your IRA puts $40,000 into the LLC, and your spouse’s IRA contributes $60,000, it is a 60/40 split. And if you have more than one member, you have a partnership, which means you might be required to file Form 1065 every year. It’s best to seek advice from your tax attorney or CPA about filing Form 1065. Can I pay myself a salary to manage my LLC? No, earning a salary is self-dealing. An IRA owner can’t benefit from the IRA’s investments until the assets are distributed. 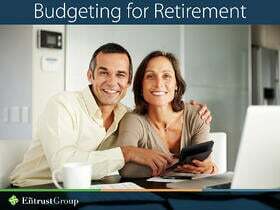 See IRC Code 4975, specifically the benefit rule, for more detailed information. Can I roll over my current real estate LLC and its investments to Entrust? It depends. If your IRA currently owns your LLC, you can roll it over to Entrust. If the LLC is currently held outside of your IRA, you must form a new LLC for your IRA. For a new LLC, you must create a specific operating agreement that meets the regulatory requirements to structure your retirement account this way. Does an IRA LLC have the same tax advantages as holding an asset directly in my self-directed IRA? Using an LLC in your self-directed IRA gives you no more nor less tax advantages. Your IRA invests in and owns the LLC. An IRA is a tax-deferred entity, so there is no taxable event in your IRA when investing directly or through the LLC. Does Entrust handle the accounting of my LLC? No, the accounting for your LLC is the responsibility of the LLC manager or its advisors. Does Entrust handle the legal work of incorporating an LLC? No, Entrust is the record keeper for the custodian. Entrust does not create LLCs nor sell any type of investments. Most custodians or administrators require that you use a third party to create the IRA LLC. Does Entrust need to review and approve investments I want to make with my LLC? No, when you have checkbook control of your IRA funds through an LLC, there is no need to involve Entrust in the purchases your LLC makes. You’re in control, and you’re responsible to know the rules and to keep those rules. It’s very important that you educate yourself on the rules if you are considering using an LLC in your self-directed IRA. I’ve heard the terms “checkbook control IRA” and “IRA LLC.” What are these? When you use an LLC in your IRA, you have checkbook control of your IRA funds. Checkbook control refers to your ability to have a checkbook in your hands that is linked to your retirement funds. When you identify an investment, you write the check—you’re in total control. Is having an LLC in my IRA permitted? Yes, it’s legal. The Internal Revenue Code doesn’t list the types of assets that you can invest in; it only states what you cannot invest in. The only two prohibited assets are life insurance and collectibles. Because an LLC is not a prohibited asset, it is a viable investment for your self-directed IRA. What are the advantages of using an LLC versus just having my self-directed IRA purchase an asset? • Control—You literally have a checkbook that is linked to a checking account that is set up in the name of your LLC under its own tax ID number. When you identify an investment that you want to purchase, you can just write a check. You don’t have to fill out paperwork, get approval from the administrator, or wait for someone else to fund the investment—you can take care of it yourself. This can be particularly helpful in investments that have a limited time period or are being auctioned. • Cost—Checkbook control can help you avoid transaction fees and check-writing fees that are typically associated with a self-directed IRA. If you own multiple investments in your LLC, your administrator only charges you for one asset, the LLC. What happens if my LLC needs money for repairs or fees and everything is invested? • Annual Contribution—If you haven’t made your annual contribution to your IRA and you’re eligible, make your contribution. You can direct your custodian to send the money in the name of the LLC to you as the manager and deposit it in the LLC’s checking account. This is applied as additional capital. • Lending—If you can’t make a contribution, you can add partners to the LLC or even lend to the LLC, as long as the person is not disqualified. The list of disqualified people includes you, your spouse, children, grandchildren, parents, grandparents, and all their spouses. It’s always a good idea to do your due diligence and reference IRC Code 4975 to avoid a prohibited transaction. Why can’t I have an LLC with the IRA that I have with my broker? Brokers sell stock market–based investments. Many brokers don’t understand self-direction and discourage their clients from engaging in it. Remember, your broker was trained to sell you stocks, mutual funds, CDs, and bonds.